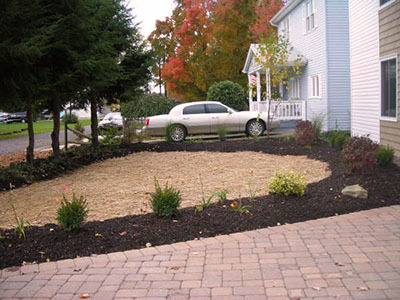 Blooming Valley Landscape & Supply installs beautiful luscious green lawns using hydro seeding, seed/straw, and in some cases sod on top of our quality topsoil. 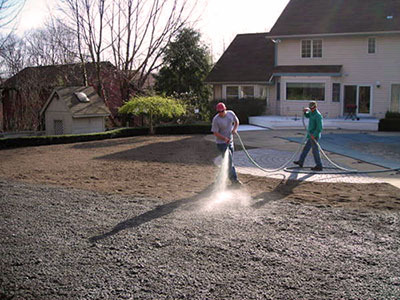 Proper equipment and equipment operator skill is essential when grading a yard correctly, keeping in mind natural slopes and water drainage paths. Blooming Valley has the proper equipment and highly skilled operators to create the most attractive lawn in your neighborhood. Blooming Valley can also determine the reason your current lawn is not growing properly by testing the soil for nutrition content and acidity. Applying the most effective method of replenishing it after diagnosing the problem will insure a healthy lawn to come. See our lawn care page for more services on keeping your lawn looking beautiful and lush. Irrigation Systems keep your lawn quenched in the driest of times and ensures sustainability without stressing your lawn.